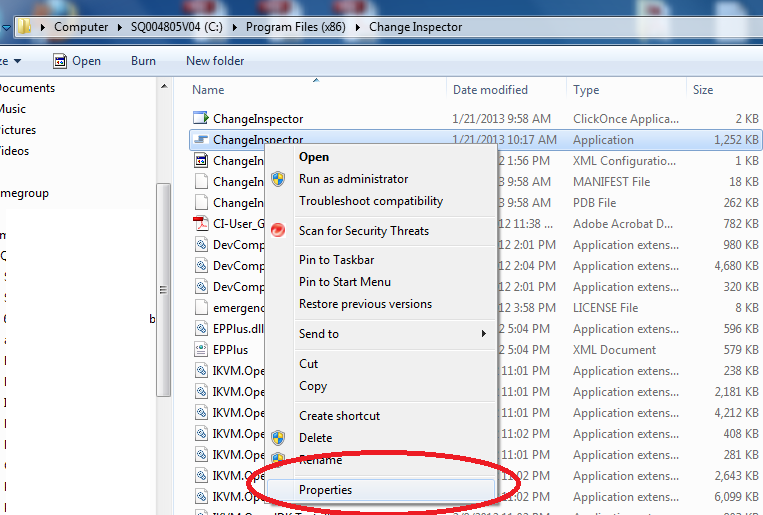 If you are using Windows 7 64 bit, by default Change Inspector is installed under Program Files (x86) folder unless you specify another folder. 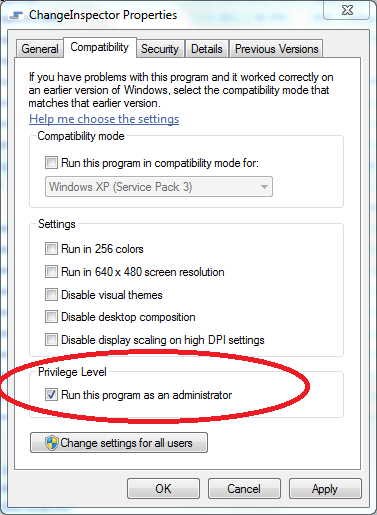 Users would not have the read and write access to that folder by default and they will get the following message. There are 2 solutions to fix this. 1) Open Windows Explorer, and go to Program Files (x86) folder. You can also uninstall Change Inspector from Program Files (x86) folder and install it in another location where you have read and write rights. This entry was posted in Change Inspector FAQ by inspector. Bookmark the permalink.